Corporate ethics can be defined in several ways: conceptually, operationally, officially, and actually. Conceptual arguments about the definition of organizational ethics focus on questions of stakeholder status and are defined by two theories, stakeholder theory and social contracts theory. Operational approaches to increasing ethical behavior in organizations may be more or less proactive and are structured around organizational mission and legal compliance. Official ethical standards articulated by organizational leaders may include ethical codes, but they are arguably less important than actual ethical expectations, which are closely intertwined with organizational culture. Each of these approaches to understanding corporate ethics will be addressed in turn, followed by discussion of cultural differences in values that undergird ethical norms and codes of conduct. Social influences and organizational practices that may affect ethical behavior unintentionally or without reference to formal ethical controls will also be considered. Scholarship in corporate ethics falls into two general disciplines: moral philosophy and social science. Moral philosophers approach corporate ethics by outlining ideals for how corporations and their managers should behave. Prescriptions for moral action and policy are the substance of this approach. That is, moral philosophers try to articulate the principles that organizations should adopt, regardless of the actual effectiveness of one or another approach. The social scientific approach, on the other hand, attempts to describe the social and psychological variables associated with moral action and, to a lesser extent, the effectiveness of ethical actions and policies. Synthesizing the larger, long-standing tensions between prescriptive and descriptive approaches, recent discussion among management scholars has attempted to combine these approaches. Moral philosophy generally focuses on stakeholder theory, an outgrowth of classical social contacts theory. In its simplest from, social contracts theory argues that membership in work organizations involves tacit consent among parties to accomplish their purposes. Accompanying this basic consent among parties are obligations relating to attitudes and norms of conduct. That is, expectations about how people should approach tasks and how they should behave with one another are the substance of corporate ethics. Corporate ethics in this framework is defined in terms of people meeting obligations and maintaining expected conduct. Importantly, this philosophical definition does not rely on ethical expectations being openly stated or officially acknowledged. In his critique of integrative social contracts theory, Robert Phillips argues that these unstated bases for social contracts do not adequately describe the content of social obligations. Following from recent political theory, stakeholder theory explores these issues further. First, the conditions that give parties a legitimate stake in organizational decisions—who has stakeholder status?—are a central concern in this theory. For example, do students have a legitimate stake in the decisions made by their professors about what they will teach? Should environmentalists be given a place in making a corporation’s decisions about the resources the corporation uses? Second, an explicit norm of fairness is discussed in this theoretical application that answers the question, how are norms of conduct derived? Several approaches have been proposed. Stakeholder theory, therefore, is a derivative of social contracts theory, but it is concerned with these questions of stakeholder legitimacy and the derivation of norms through fair discourse. Using this framework, corporate ethics can be defined not only by obligations and conduct but also by the processes used for arriving at agreement about them. Unlike moral philosophy, social scientific inquiry into the antecedents, nature, and consequences of ethical conduct in organizations has a short history. In social scientific inquiry, corporate ethics is defined in terms of the formal and informal expectations for organizational stakeholder conduct. The observation of actual corporate value structures and norms of conduct are central to this approach. These value structures are usually defined in terms of organizational culture and climate. Initial studies describing the deliberate actions taken to effect ethical conduct in organizations uncovered the factors that lead organizations to control ethical behavior and the extent to which these ethical controls are embedded in actual organizational behavior. 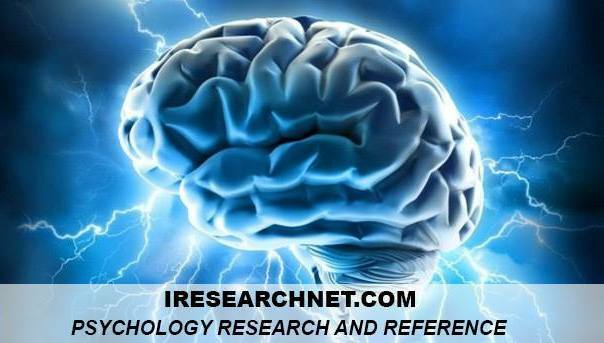 Beyond this, there is a large body of laboratory research in social psychology that has evaluated the social and individual predictors of factors such as helping behavior, obedience to authority, harassment, and prejudice. However, much less is known about the consequences of ethical controls in organizations, particularly with regard to their effect on organizational effectiveness and dysfunction in actual organizations. Paradoxically, this lack of evidence may result from the ethical difficulties associated with manipulation and control of antecedents of moral behavior in real-world settings. Operationally, it is not clear whether social scientists and moral philosophers have taken different practical approaches to effecting ethical behavior despite their somewhat different conceptual approaches. Surveys show that more than 80% of U.S. corporations have formal ethical controls. These controls commonly include one or more of the following mechanisms: designation of ethics officers, formal codes of conduct, ethics committees and communication systems, training programs, and disciplinary processes. Descriptive research and research on the possible antecedents of ethical control systems strongly suggest that many controls result from compliance and conformity pressures rather than the organization’s core values. That is, fears about lawsuits or bad publicity may be the motivating force behind ethical controls rather than attempts to infuse the organization with a broad commitment to ethical conduct. Top management’s commitment to ethical controls, however, is predictive of the integration of formal ethical codes into organizational culture. Still, treating ethics in a broad philosophical sense may have less influence on ethical behavior and outcomes than targeted approaches. In particular, evidence suggests that ethical codes of conduct by themselves have little effect on important outcomes, whereas targeted measures are likely to have some desired effects. Accountabilities in performance appraisals, guidelines for dealing with negotiations, regulations specific to particular types of unethical behaviors (e.g., harassment, discriminatory hiring), and similarly specific measures have been shown to relate to outcomes such as ethical breaches, ethical awareness, willingness to report violations, commitment to ethical conduct, advice seeking, and successful decision making and negotiating. Similarly, practices aimed at reducing particular types of unethical behaviors (e.g., discriminatory hiring, harassment, and stealing) have met with some success. One way to distinguish among these organizational controls is to think of them in terms of whether they are aimed at avoiding ethical breaches through proactive mechanisms, such as awareness, commitment to ethical conduct, and establishing norms for advice seeking, or whether they seek to manage responses to breaches through reactive communication systems, reporting of violations to internal management, and so on. Organizations may benefit from analysis of both proactive and reactive ethics policies and procedures. In addition to these targeted approaches, the culture of the organization, its norms, and employee perceptions regarding fair treatment may support or hinder the effectiveness of formal codes of conduct. Although the evidence is scarce, it supports the notion that actual norms of conduct, organizational culture, perceptions of the fairness of organizational activities, and organizational climate all relate to the effectiveness of formal ethical codes. Not surprisingly, these actual aspects of corporate ethics have received more attention in the social scientific literature than in moral philosophical discussions. It remains to be seen whether the differences in behavior associated with approaches to ethical conduct have any effect on organizations as a whole. The question here is whether “nice organizations finish last” or whether “virtue is its own reward.” This is a difficult question to answer given the conceptual and methodological challenges of studying ethics in organizations. Evidence about the fates of whistleblowers suggests that ethical breaches cost both the organizations that commit them and the people who report these breaches. This, in turn, suggests that managing to avoid ethical breaches may be more helpful than managing responses to them. Still, there is no direct evidence about the effects of ethical controls on the effectiveness of organizations, in terms not only of economic performance but also of the actual avoidance of dysfunction. There is a growing awareness that corporate ethics is embedded within the broader cultural environment. It is important for decision makers to consider the reactions that are likely to arise from the blending of organizational codes and norms with the larger cultural environment, as broad cultural norms for what is and is not considered ethical conduct may not be the same as organizational norms and codes. For example, applying an existing corporate ethics code to a new international corporate office might prove problematic if the country hosting the new office has a very different basis for evaluating what is and is not ethical conduct. Whether organizations seek to define ethical conduct in a broad philosophical sense, describe current ethical culture, effect change in specific ethical problems, or maintain an ethical culture and climate, it is sensible to consider all of these issues in both compliance and strategic discussions and practices. In particular, an awareness of actual ethical culture and climate is a useful starting place for enhancing organizational effectiveness. Bell, M. P., Quick, J. C., & Cycyota, C. S. (2002). Assessment and prevention of sexual harassment of employees: An applied guide to creating healthy organizations. International Journal of Selection and Assessment, 10, 160-167. Bolman, L. G., & Deal, T. E. (2005). The manager as politician. In Management skills: A Jossey-Bass reader (pp. 331-355). San Francisco: Jossey-Bass. Donaldson, T. (2003). Editor’s comments: Taking ethics seriously—A mission now more possible. Academy of Management Review, 28, 363-366. Lefkowitz, J. (2003). Ethics and values in industrial-organizational psychology. Mahwah, NJ: Lawrence Erlbaum. Phillips, R. (2003). Stakeholder theory and organizational ethics. San Francisco: Berrett-Koehler. Schein, E. H. (2004). Learning when and how to lie: A neglected aspect of organizational and occupational socialization. Human Relations, 57(3), 260-273. Trevino, L. K., & Weaver, G. R. (2003). Managing ethics in business organizations: Social science perspectives. Stanford, CA: Stanford Business Books.